Now she’s suddenly gunning down ravenous zombies alongside mysterious black-clad commandos and confronting a fatal virus that raises the dead—and hell along with them. Hardly ideal circumstances. Then Nora meets Bram Griswold, a young soldier who is brave, handsome, noble . . . and dead. But as is the case with the rest of his special undead unit, luck and modern science have enabled Bram to hold on to his mind, his manners, and his body parts. And when his bond of trust with Nora turns to tenderness, there’s no turning back. Eventually, they know, the disease will win, separating the star-crossed lovers forever. But until then, beating or not, their hearts will have what they desire. Now we’ve really seen it all, haven’t we? Girls falling for the undead isn’t new (vampires anyone?) 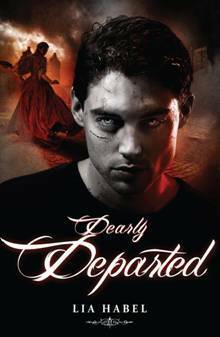 but when I heard about Dearly, Departed, I was sceptical about how the author would go about writing a romance between a young, healthy girl and a dead guy. Fear not, Dearly, Departed is actually quite engaging, with its mix of modern and antique ways of life, colourful characters and a brilliant new world to immerse oneself in. The world Habel has created is unique – a future in which Victorian values, manners and dress are prized because of the destruction caused by the wantonness of previous generations. It’s really interesting: cool technology like digi-diaries, mobile phones and holograms mixed in with travel by carriage, full length dresses and strict social etiquette. The first part of the book, centred on Nora’s life before she finds out that zombies exist, is a little boring and clichéd, but I love how realistic it seems. Unlike many other Post Apocalyptic stories, I recognised today’s society in Habel’s one: it wasn’t as alienating as some books tend to be. Nora is a perplexing character whom I initially disliked. She seemed aloof and disinterested in her best friend, and I didn’t really like how she regarded an interest in anything feminine as a weakness (although I understand how, with her upbringing, she might think like that). But once she was taken out of her familiar environment, she really shone. I love her tenacity and bravery, and that she thinks about her actions and their consequences. No silly mistakes here! In contrast, I liked Bram from the very first chapter – he’s so sweet and caring, even if he’s dead. He and Nora are the principle narrating protagonists, but there are three other points of view in the novel, each telling a different but vital part of the story. I’ve seen other reviewers express dissatisfaction at the large number of narrating characters, but I enjoyed it. 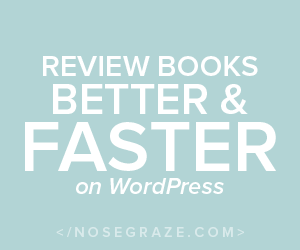 Dearly, Departed is certainly a surprising read! Somehow it’s made me think of zombies as humans as well, capable of love, affection and kissing. I think this book will be enjoyed by those who like romances with a twist! However, if you are looking for a scary zombie book, then you’re better off trying Rhiannon Frater’s The First Days. 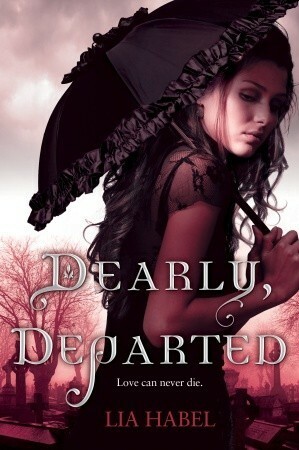 I am very excited about the sequel, Dearly Beloved: I’m expecting to be just as good.